Hey kittens. I love you all. 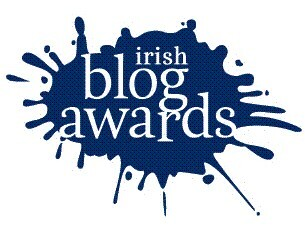 You’ve only just gone and put my name on the long list of nominees for two categories of the Irish Blog Awards! Best Blog and Best Specialist Blog. A ‘humorous’ nomination would have been nice (remember the Judge Judy edition?) but if you don’t feel comfortable going that far, that’s OK. But really. Thanks. I greatly appreciate it…. … especially because the nomination form wasn’t exactly rock-n-roll. In fact, as Colm Whelan pointed out, there was a bit of a local-authority-planning-application-vibe about it: ‘Please write a long essay as to why you think you qualify to nominate this blog under the ‘local needs’ section of the etc., etc., …’ Personally, I think I’m being a bit unfairly discriminated against because, after all, The Planning Dispatch is the blog which represents people with serious form-filling-out issues. But, no. Seriously. I’m thrilled. Make a date with your TV.